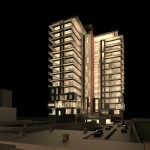 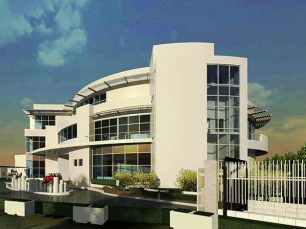 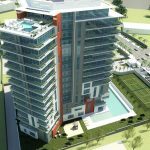 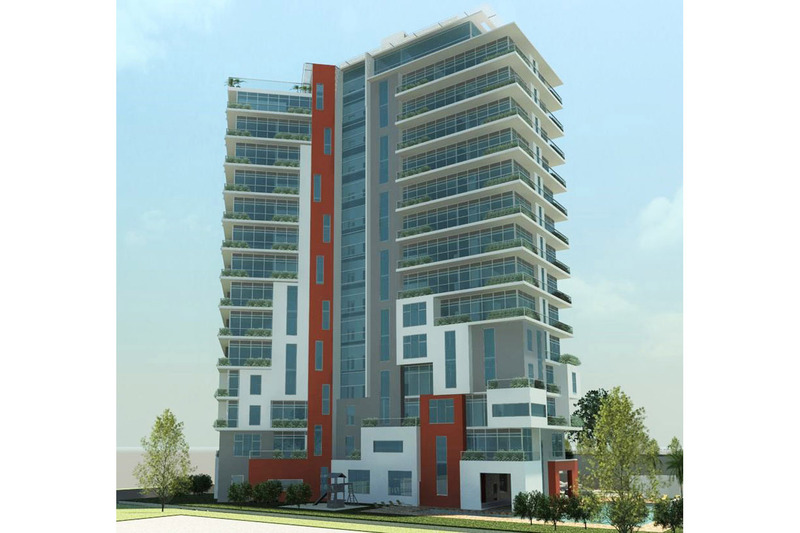 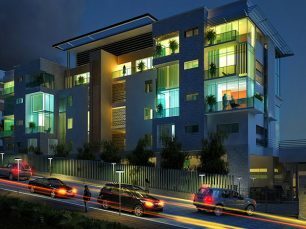 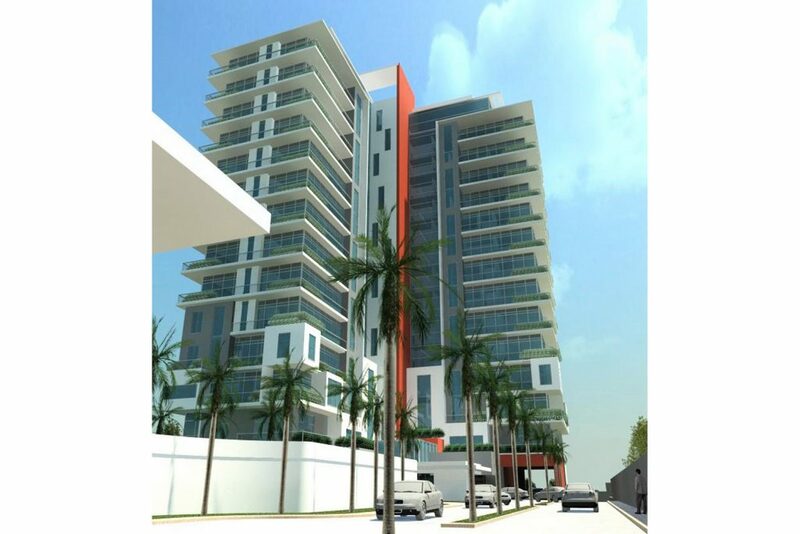 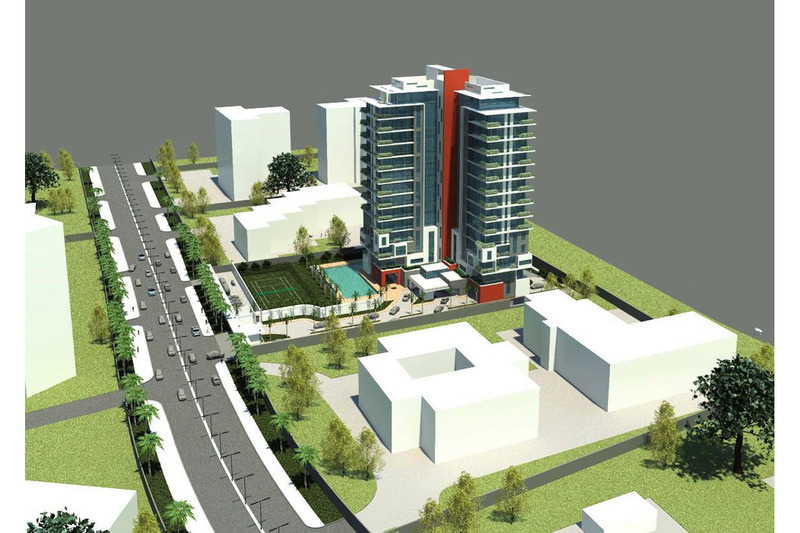 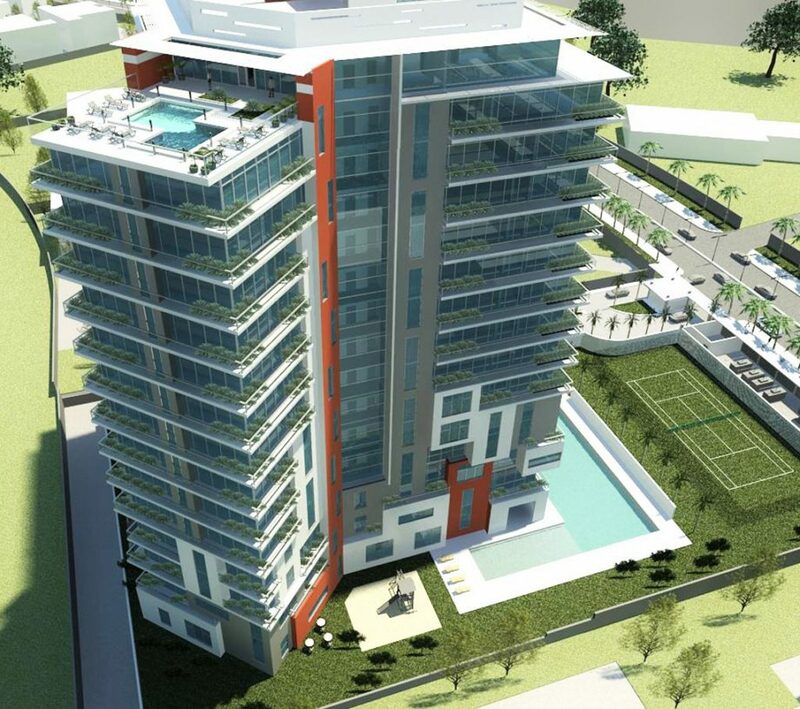 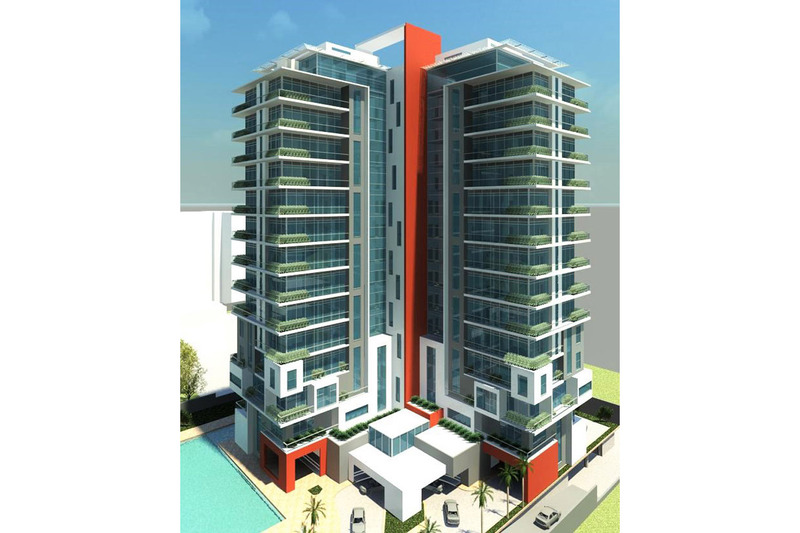 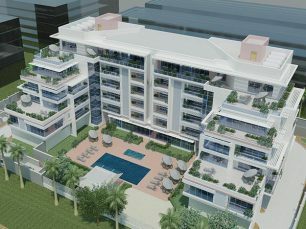 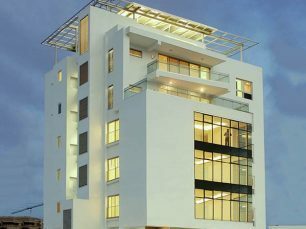 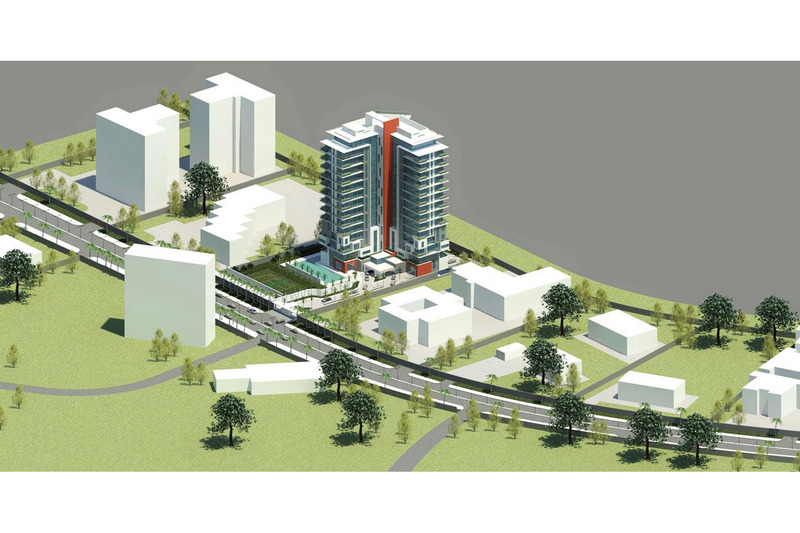 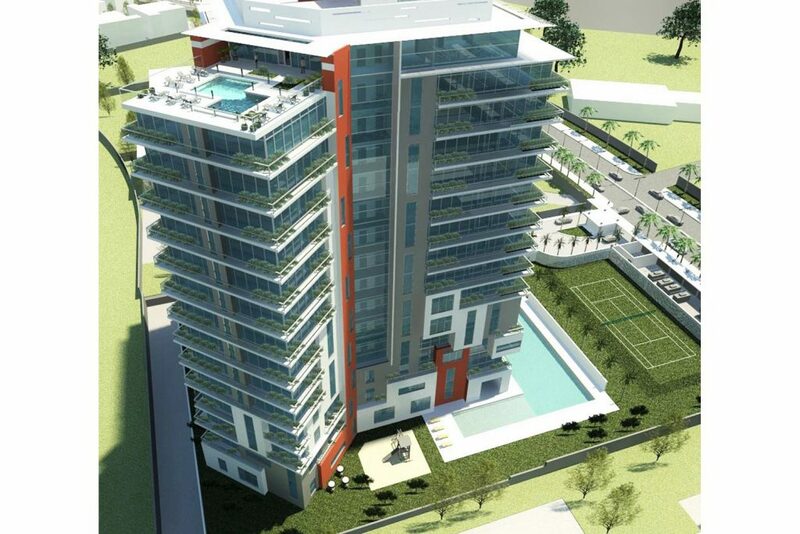 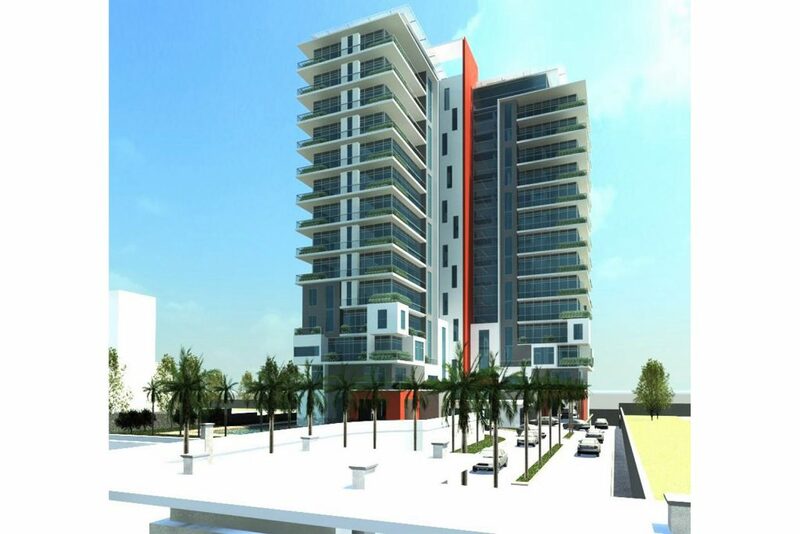 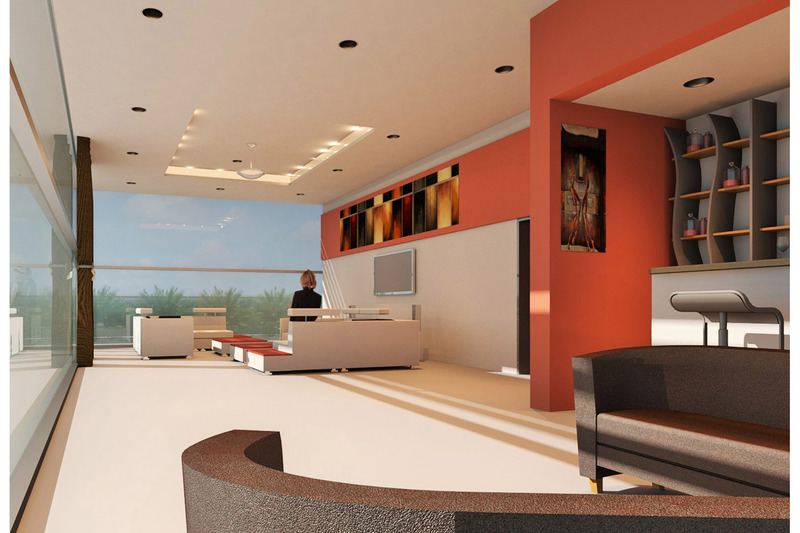 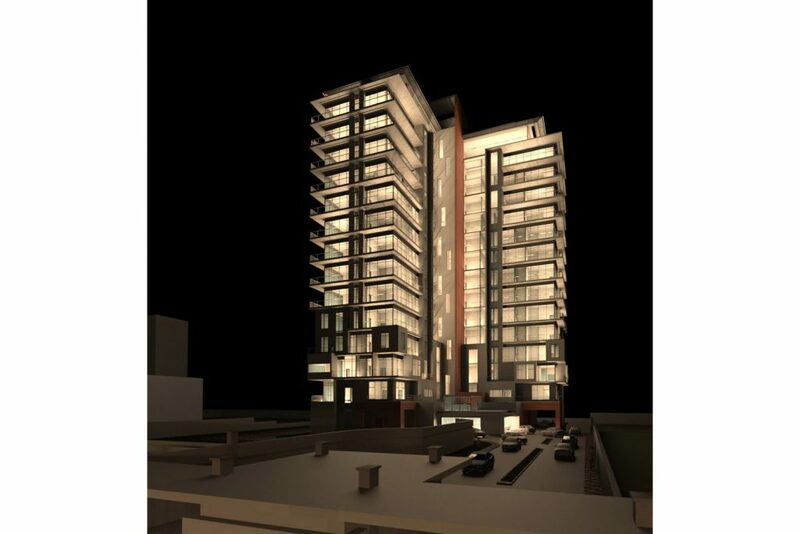 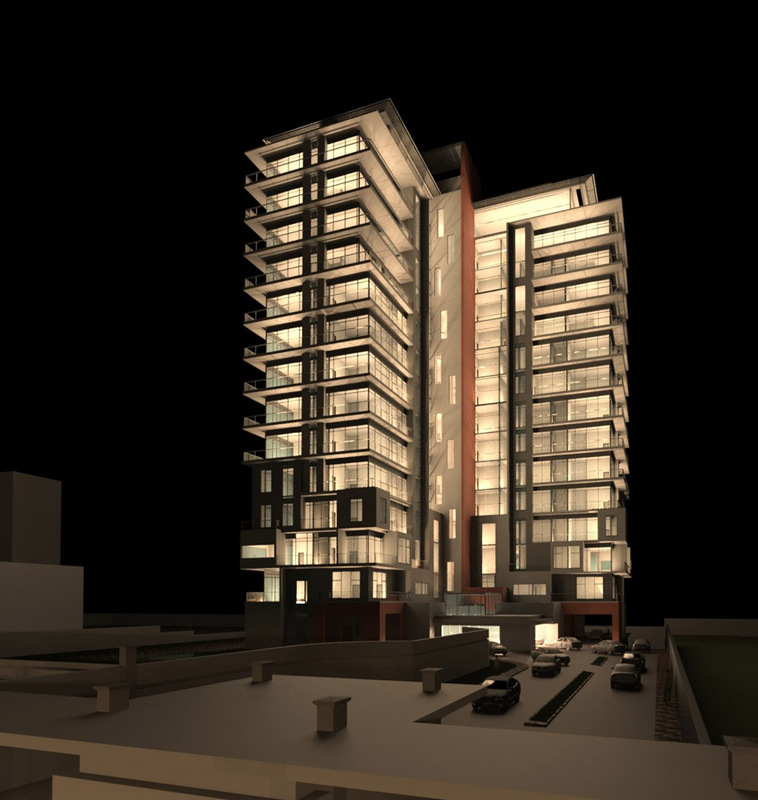 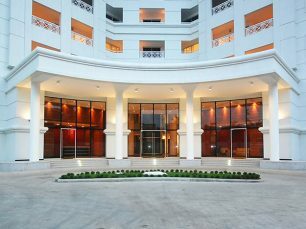 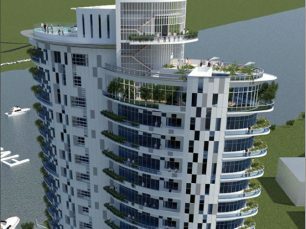 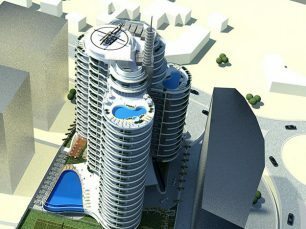 Located along Gerrard Road, Ikoyi, Lagos this 15-storey apartment building is made up of 18no. 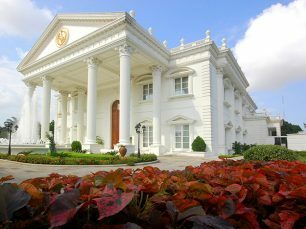 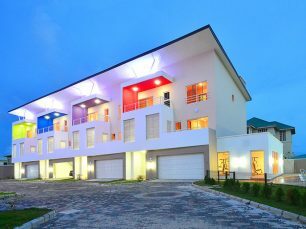 3-bedroom apartments, 12no. 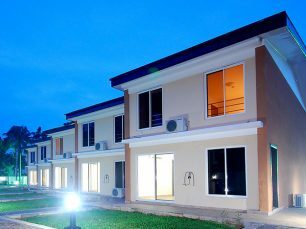 two-bedroom apartments, 4no. 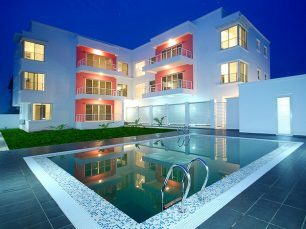 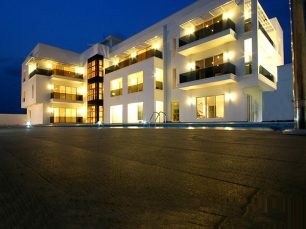 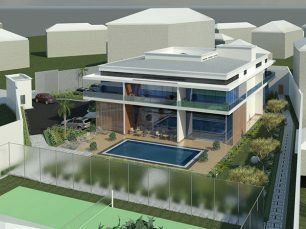 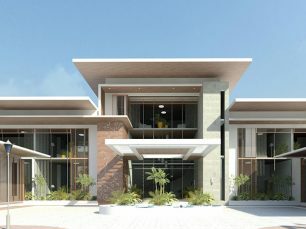 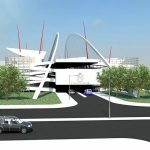 3-bedroom maisonette apartments and 1no. 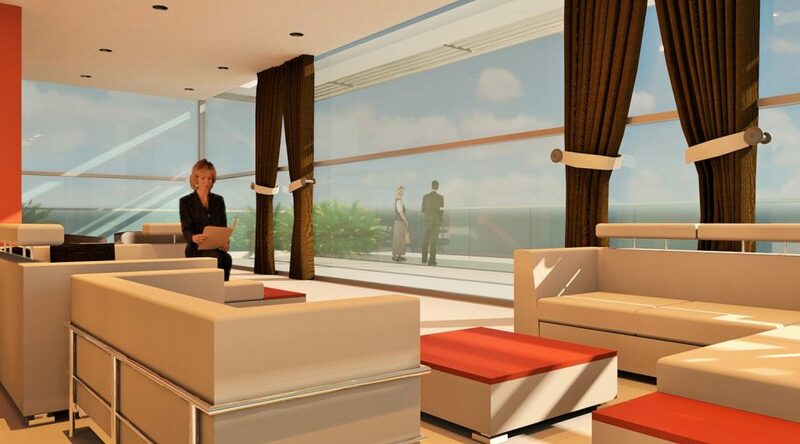 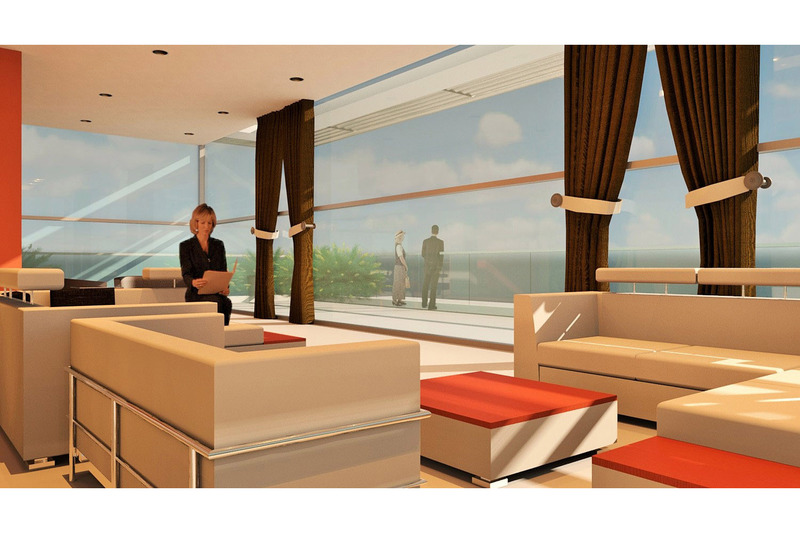 penthouse apartment. 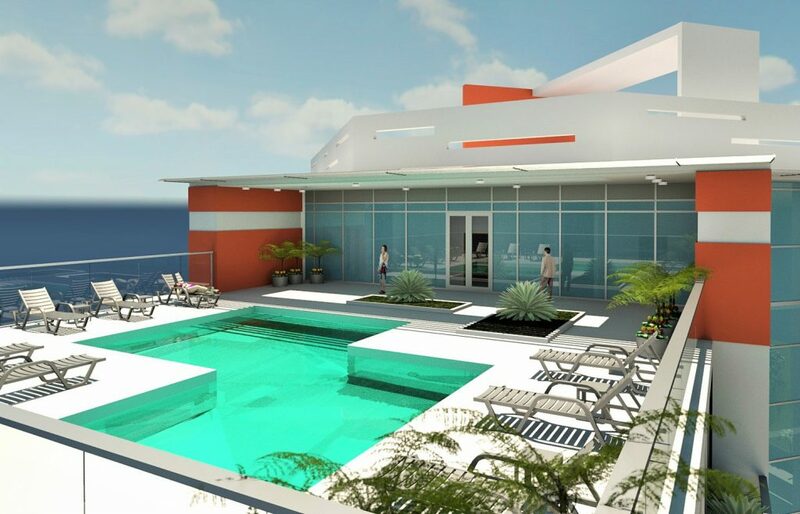 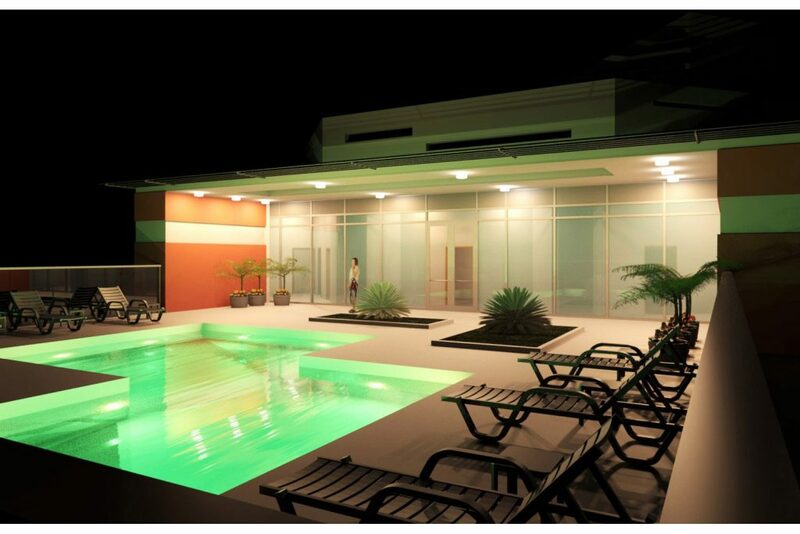 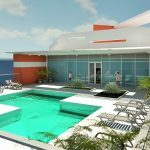 The apartments are supported by communal swimming pool, tennis courts games room and a gym as well as an 80no. 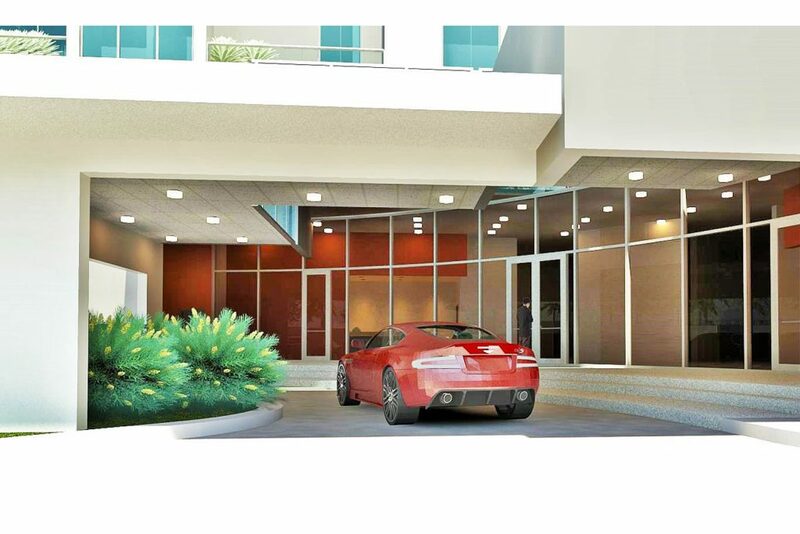 carpark and services support such as water treatment plant, sewage treatment plant etc in the basement. 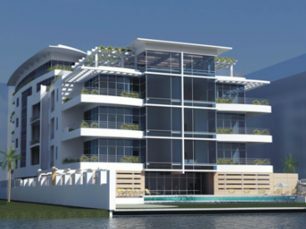 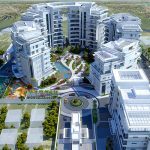 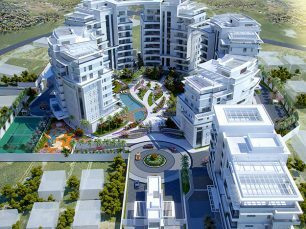 The shape and the form of the building was designed to maximise the views for all the apartments to view the lagoon to the north.